Plus, the boots every editor has on her wish list. Few things get us as excited around here as buying a fresh pair of shoes. 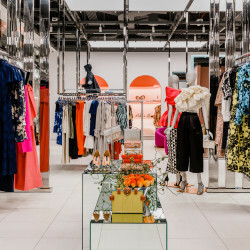 Even better is discovering a new designer whose entire repertoire of styles seems to speak to you on a *spiritual* level (right about the time when your credit card starts screaming). 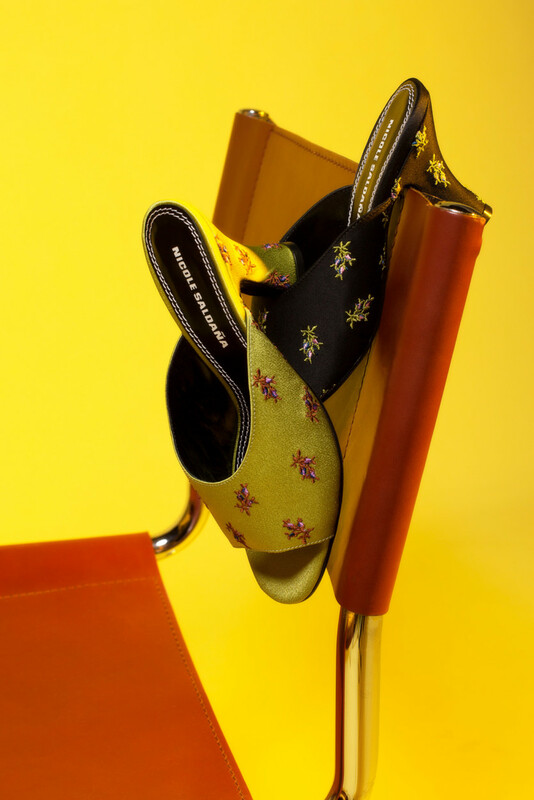 Just remember: Shoes are an investment—a mantra we tell ourselves daily. 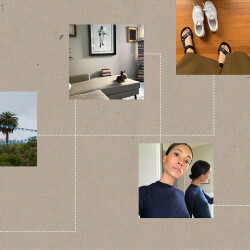 The latest addition to our designer obsessions is Nicole Saldaña, a line of dreamy, architectural creations inspired by the founder’s group of girlfriends, and beloved by fashion editors, millennials, and Rihanna. 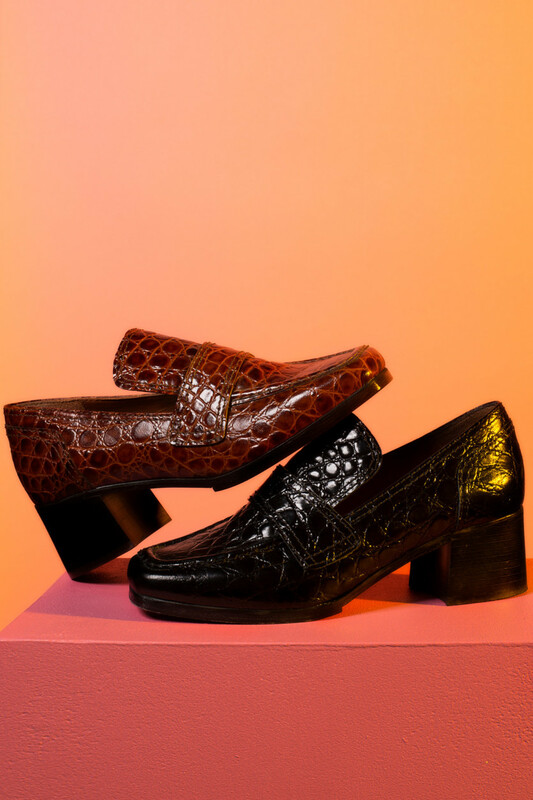 Armed with skills needed to execute her dream shoe, she soon launched her eponymous label with a handful of loafers, boots, heels, and mules. 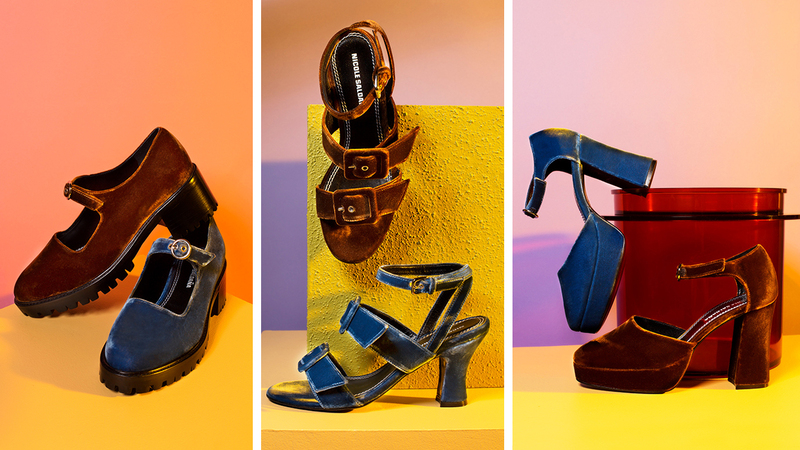 One of those debut pairs—a periwinkle blue fur-lined strappy sandal—wound up on RiRi’s feet during New York Fashion Week last September, effectively launching her brand into the fashion stratosphere. 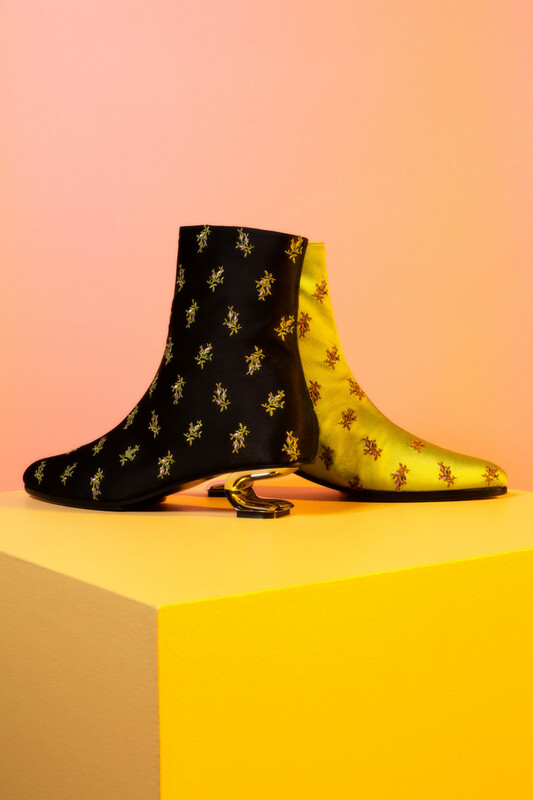 Now with multiple collections under her belt—including a cult-favorite pair of snakeskin boots that are perpetually sold out—the designer is slowly expanding her offerings. “I’ve always wanted to do a sneaker, but not in a super sporty way. [For] the spring collection, I’m really excited to see the palladium sneaker styles. [They’re] a ’90s-inspired palladium, and I’m using different materials that are non-leather. 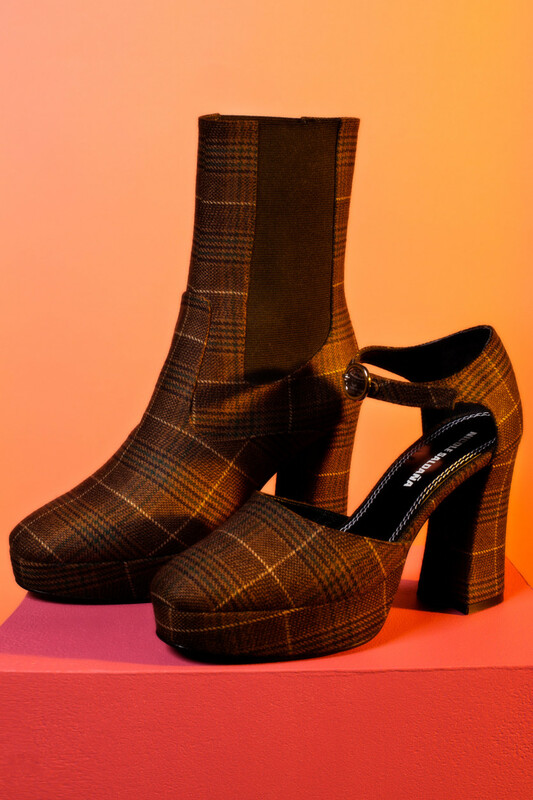 So you’ll see a tiny gingham, a plaid, canvas, stuff like that.” She explains that despite the brand’s explosive success over the last year, she will stay true to her process and continue to create unexpected shoes that she and her girlfriends would love to wear. 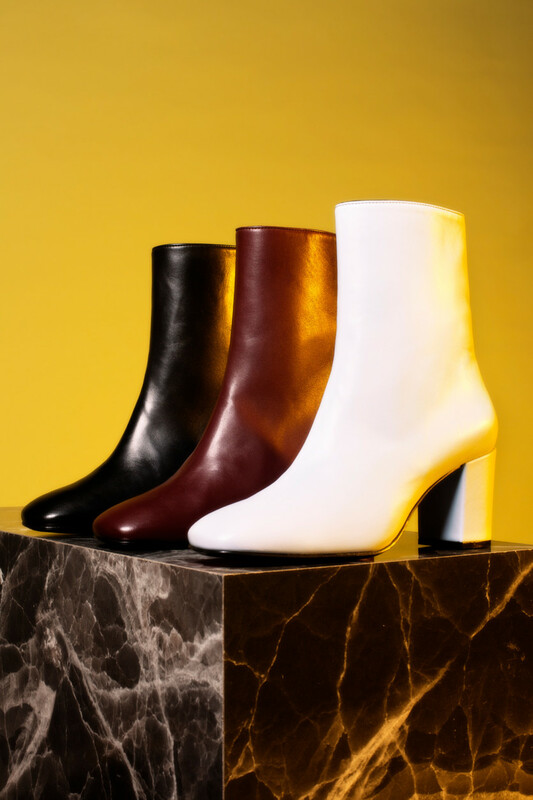 “I think because I’m new and a young designer, [my designs] are more pieces [that] you really want to wear that you can’t find, [like] a cocktail shoe, or a great boot you can wear in the rain. I’m always evolving, so I might not like something now, but in a season or two I’ll end up falling in love with it. I used to hate square-toe shoes, but now it’s all I can think about.” Get your credit cards ready, folks.